With years of expertise and knowledge in the industry, we will give you a realistic valuation of your personalised registration. We provide a no obligation free valuation service and will happily advertise your number free of charge and feature these on our website and in our glossy magazine. 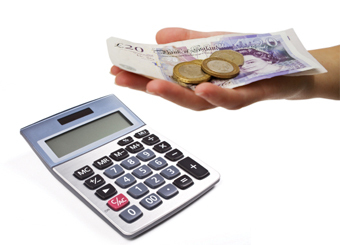 In some cases, if the registration is good enough for us to stock, we will offer clients an instant cash offer. For certain desirable numbers we will also feature these in national magazines and newspapers free of charge on your behalf to gain maximum exposure and create a sale for your registration. For your free instant valuation please fill in the following form and one of our valuation team will contact you shortly. Alternatively please give us a call for an instant valuation over the phone. It is completely free to advertise your registration with us. With our experienced and skilled sales team, and our huge database of prospective clients looking to purchase personal numbers, we are the best company to sell your personalised registration. As soon as we start marketing your registration it will immediately appear on our website that is updated twice daily. We will also notify every prospective client on our database of your registration mark, informing all individuals that are looking for a similar or specific registration. This will not only generate immediate interest in your registration, but can gain a quick sale. Our Super Search facility via our website will direct potential clients to your registration and will get your number to the top of the PerfectReg search results, whilst also being featured in our new glossy magazine. For certain desirable numbers we will also feature these in our national motor magazines and newspapers adverts free of charge on your behalf to gain maximum exposure and create a sale for your registration. If you wish to sell your registration please fill in the form below and one of our advertising team will contact you shortly. Alternatively please give us a call for an instant valuation or cash deal. Enter the price you are looking for or tick the box if you require a valuation.